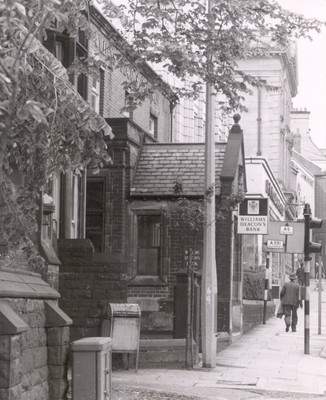 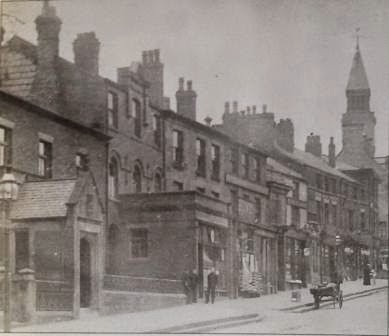 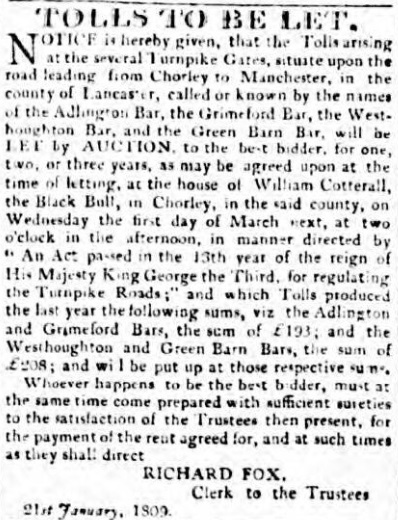 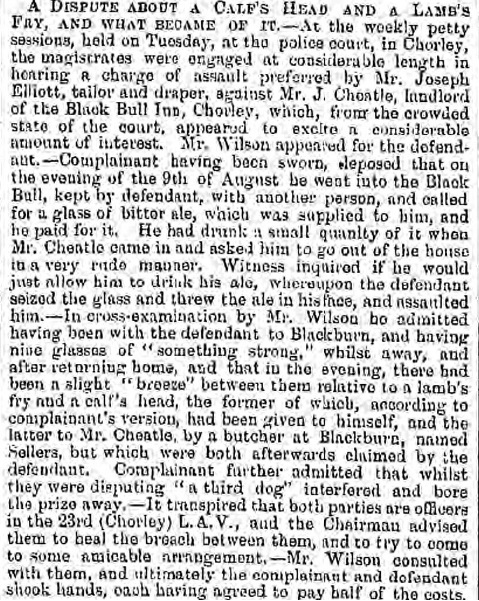 The original Black Bull in Chorley was at no.20 Market Street, the site of the current town hall and existed until about 1815 when it changed its name to The Gillibrand Arms. 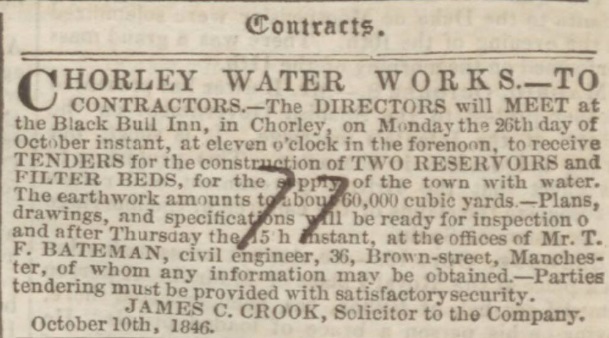 Its successor was first recorded in the directories from 1818 onwards and was initially listed at no.40 Market Street but as the town expanded and more properties were built in the town it was to be relisted as no.56. 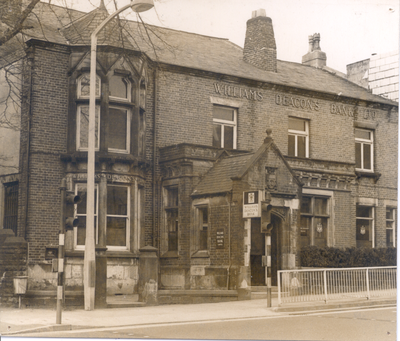 At some time between 1865 and 1871 the business closed and the building was taken over by the Williams Deacon Bank as pictured above. 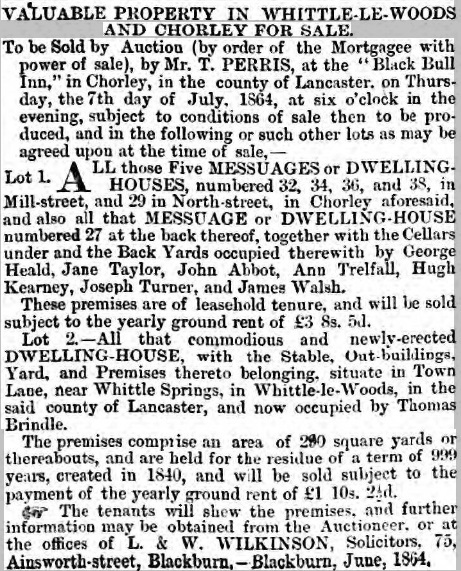 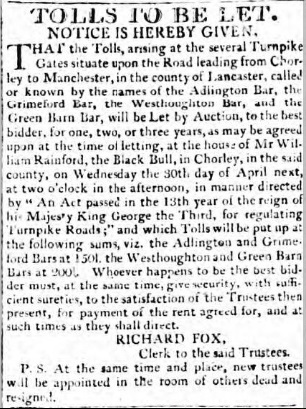 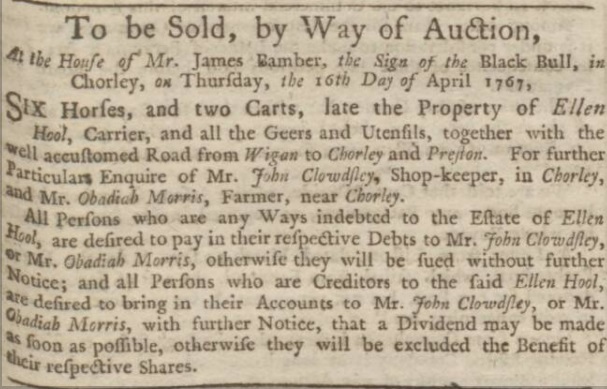 Listed landlords at the Black Bull were James Bamber (1767), David Fairbrother (1793), Thomas Barton (1799-1803), William Rainford (1804-06), William Cotterall (1809), John Holt (1810), Margaret and Thomas Holt (1818-1843), John Gerrard (1843-1851), Edward Kellett (1851-54), Ellen Kellett (1854-59), Richard Barnes (1859-61) and J Cheatle (1865). 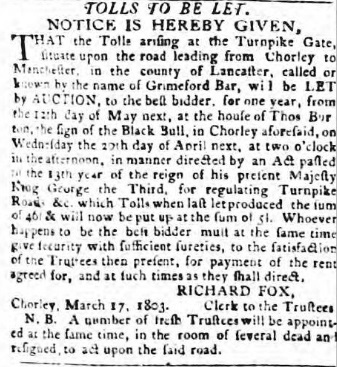 John and Ann Gerrard took over at the Black Bull around 1844 having previously been at the Fox & Goose on Water Street. 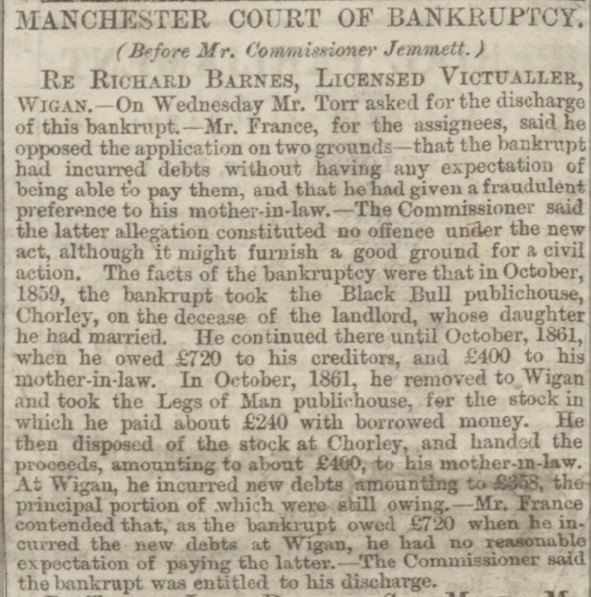 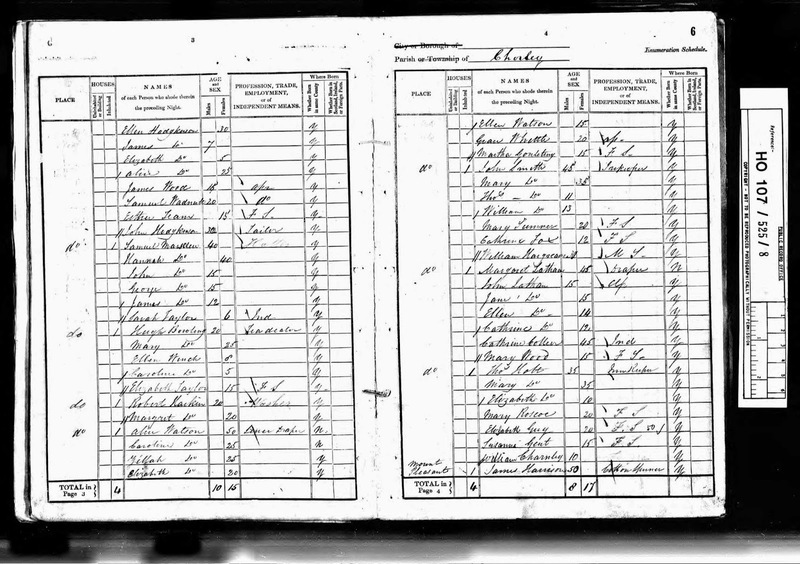 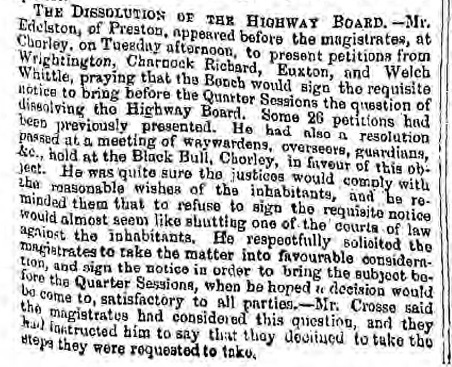 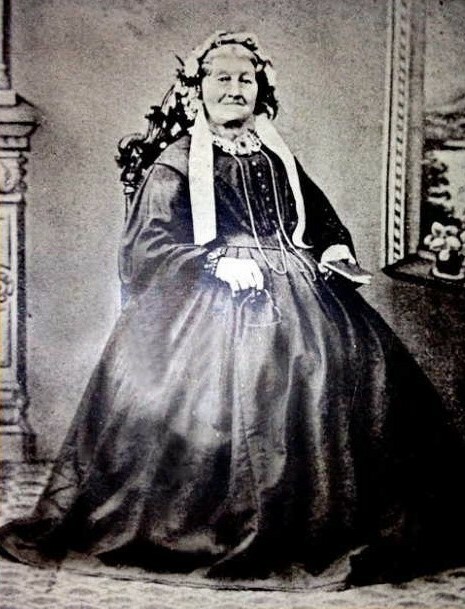 Records show that they married in 1829 in Leyland. 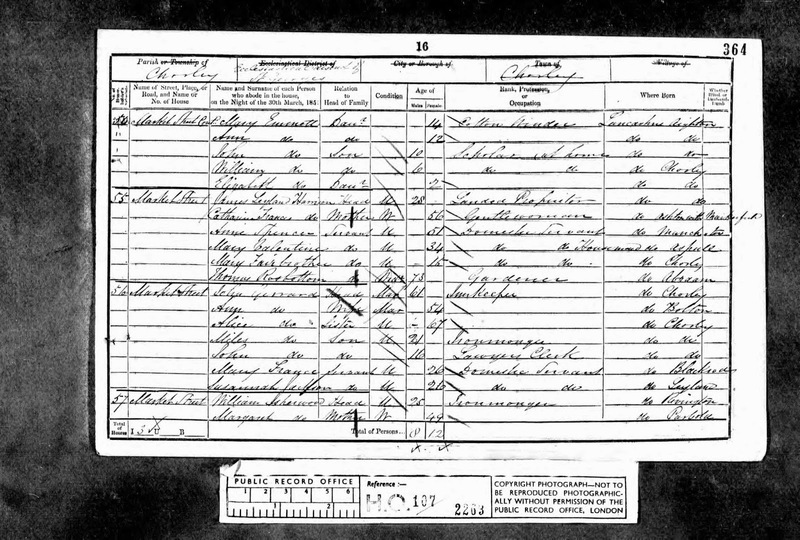 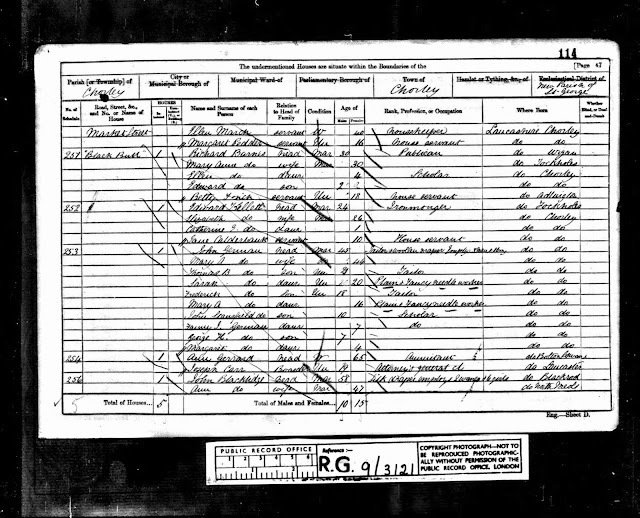 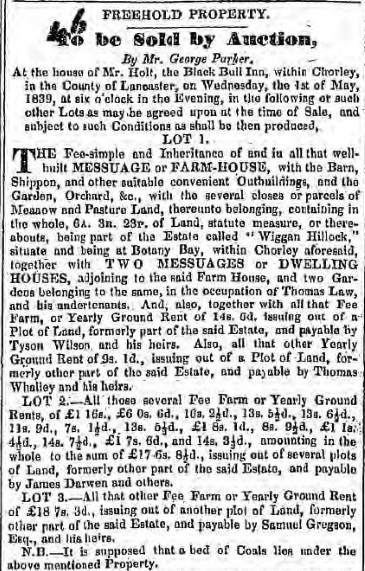 In March 1851 at the time of the census Edward Kellett was residing in Tockholes with his wife Elizabeth and their seven children; he was the landlord of the Rock Inn. 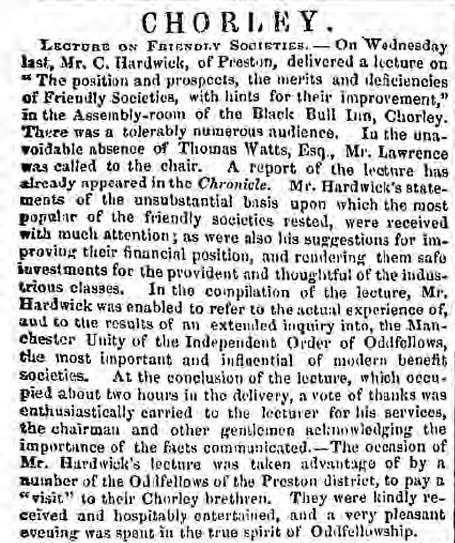 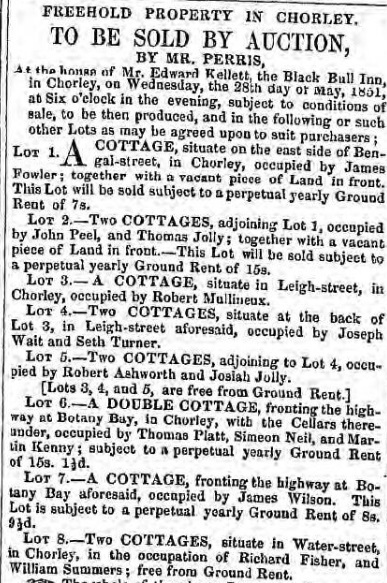 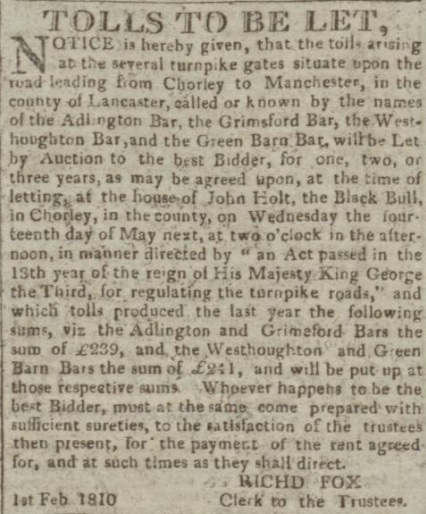 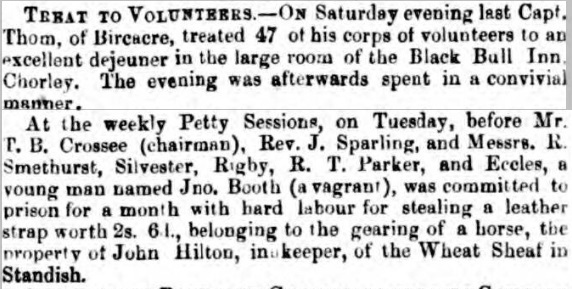 Very shortly after this he must have moved to Chorley and taken over from John Gerrard at the Black Bull as the press cutting below confirms he was there by the end of May. 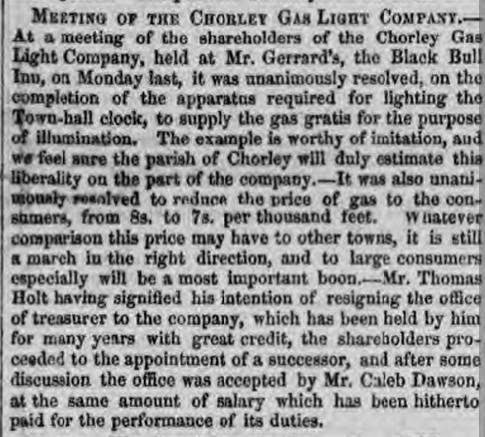 As the above burial record confirms landlord Edward Kellett died in 1854 and was buried at St George's in Chorley. 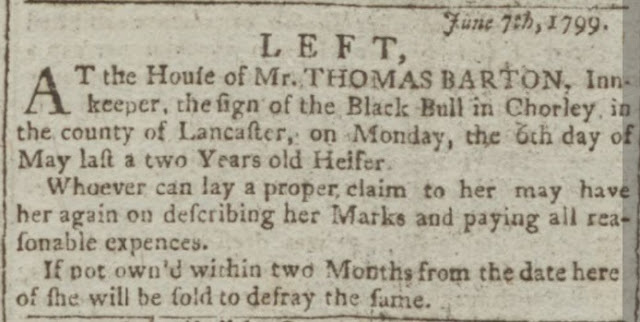 The following year his daughter Mary Ann married Richard Barnes and he then took over running the Black Bull. 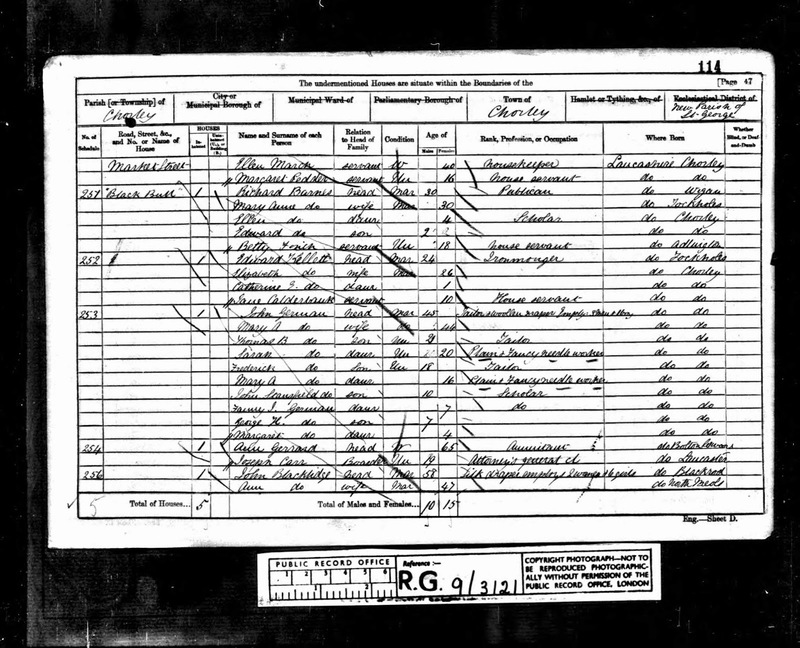 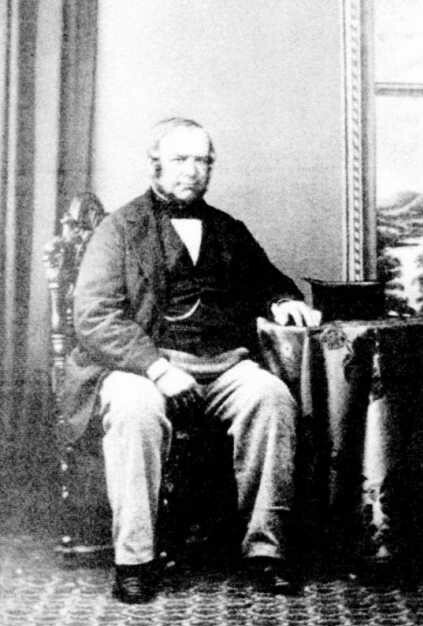 Groom's Father: Richard Barnes, Brass Foundry? By the time of the 1871 census 56 Market Street was a bank; John Gerrard's wife Margaret, now a widow was still living nearby at no.42 and working as an ironmonger. 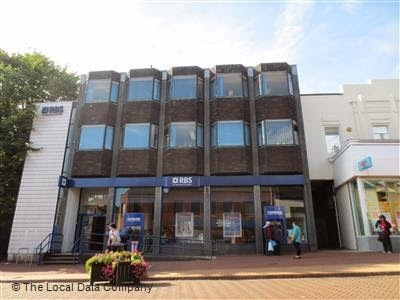 The original building was later demolished but in its place today is the Royal Bank of Scotland.